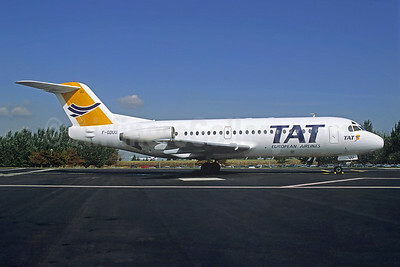 (formerly TAT-Transport Aerien Transregional 2nd). 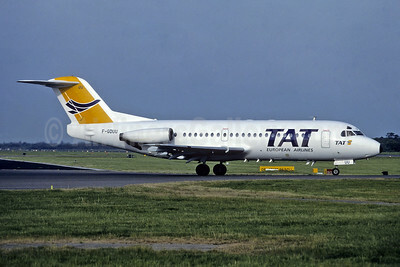 (IJ/TAT) (Tours and Paris-Orly) 1992 - 1998 (merged into Air Liberte). Photos. Framable Color Prints and Posters. Digital Sharp Images. Aviation Gifts. Slide Shows. TAT European Airlines Fokker F.28 Mk. 2000 F-GDUU (msn 11108) (Richard Vandervord). Image: 945564. TAT European Airlines Fokker F.28 Mk. 2000 F-GDUU (msn 11108) CDG (Christian Volpati). Image: 944145.